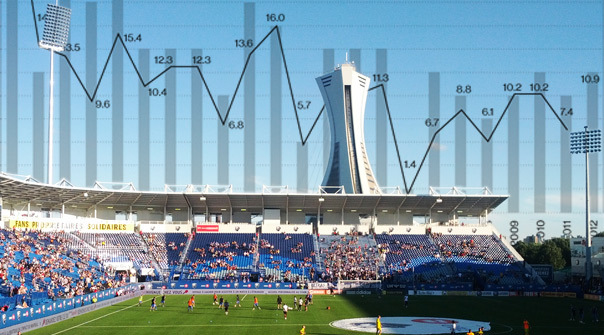 In last season’s analytical preview of the Montreal Impact I described the development of their team “an experiment in terms of going against the grain on how traditionally an MLS team builds a roster”. In many ways, this experiment worked with the Impact being one of the top clubs for over half the season and winning the Canadian Championship/Voyagers Cup. However, the season ended with disappointment as Montreal struggled down the stretch and despite making the playoffs, lost in the first round and afterward the club fired their coach Marco Schallibaum. 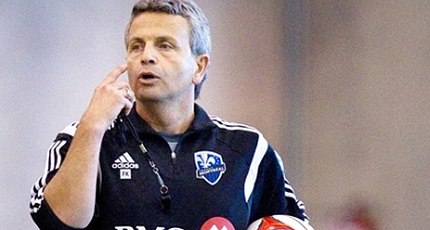 Montreal have gone in a different direction this season in hiring coach Frank Klopas who played with the US National Team, started coaching in Indoor Soccer and most recently was the coach of the Chicago Fire. Because of cap restrictions the team has mostly the same roster they did last season, which has made them an easy target of criticism going into this season including MLSSoccer.com having them last in their “power rating” - even worse than Chivas USA. I don’t think things will be this bad, but I do have some concerns starting with the players the club lost this offseason. 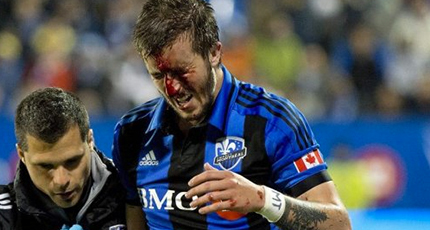 Davy Arnaud has been a consistent MLS player for a number of years and was the club’s team Captain, while Montreal also lost three Italian players: Daniele Paponi and Andrea Pisanu’s loan deals ended and Alessandro Nesta retired. Despite being 37 years old, it’s the loss of Nesta that might hurt the club the most, as when he played last season Montreal was 12 wins, 5 draws and 6 losses compared to 2-2-8, including the playoff loss, when he was absent. This being said Montreal still has some quality players in their squads. Montreal might question the trade two years ago of Troy Perkins for Donovan Ricketts after Ricketts won the goalkeeper of year award last season. Perkins is still a quality keeper, and being American means he doesn’t count as an import signing. The 32 year old has maintained a save percentage of above 70% throughout his career and despite allowing the 2nd most goals in the league last year he still finished with a .696 save percentage and saved 2 penalty shots. 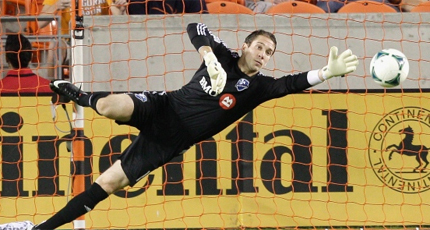 Fellow American keeper Evan Bush is Perkins backup and has only seen time when Perkins was unable to play, while the third keeper is Canadian and academy product Maxime Crepeau. 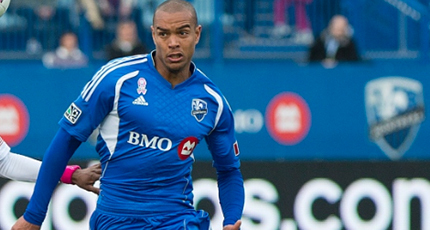 Montreal had very strong play from the full-back position last season through Hassoun Camara and Jeb Brovsky. Camara competed in 32 of Montreal 34 games last season and was a pivotal role in how Montreal played, passing the ball over 1200 times, well on defence completing 77 tackles and 150 clearances he also contributed offensively with three goals and two assists. Brovsky replaced Zarek Valentin as the starting left-back playing 30 games with similar passing stats to Camara and making 78 tackles and 125 clearances. Montreal also moved up in the draft to acquire Generation Adidas product Eric Miller, who could give the Impact the option of moving Camara to centre back and having a greater influence on the team. Miller played both Right Back and Defensive Midfield in college at Creighton University and started every game for his school except one. Academy player Maxim Tissot will provide the Impact additional depth at the full back position. With the retirement of Nesta, the Centre Back role becomes one of concern for the Impact going into 2014. They still have Matteo Ferrari who might have been one of the most underrated players in the league last season. Ferrari stayed away from the high risk play in defense, which has hurt him in the past, while having 192 clearances and 112 interceptions and was one of the most effective players in terms of ball control with 1435 passes at an 86.9% proficiency rating. Ferrari’s partner is still up in the air with experienced defenders Adrian Lopez and Nelson Rivas struggling with injury issues and a hope that local academy products Karl Ouimette or Wandrille Lefevre getting an opportunity and hopefully becoming the long term solution. Lefevre, traditionally a midfielder, has shown the most promise in the preseason and was very active on the field when he played last season. Much of Montreal’s success this season will rely on the designated player brought in midseason last year, Hernan Bernardello. The 27 year old Argentinian played previously in the Argentina Primera and Spanish La Liga and was capped by Argentina in 2009. In limited time last season Bernardello played 8 league games with the Impact and showed good control with the ball from the midfield. The one concern regarding expectation is throughout his career Bernardello has been used strictly as a defensive midfielder and he has only scored 6 goals, has 10 assists, 39 shots on target in 18,000 minutes of play so I don’t expect a significant offensive impact in terms of goals and assists, even at an MLS level of play. 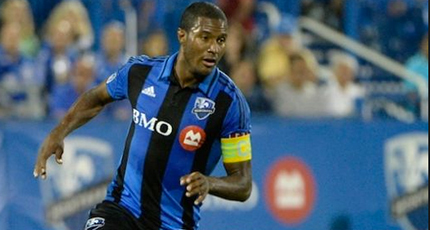 With Bernardello in the line-up it looks like Montreal will play a 4-2-2-2 with Bernardello teaming up with new club captain and Canadian National Team veteran Patrice Bernier. Bernier had another strong season last year and is a fantasy team regular with him taking the club penalties. He also had six assists last season and is more likely to play in a more forward position than Bernardello although both players have good passing awareness which should give Montreal good possession numbers and limit their opponent’s offensive opportunities. With Montreal playing two defensive midfielders there will be more pressure on attacking midfielders Justin Mapp and Felipe to convert ball possession into offensive opportunities. The two combined last year for some good numbers including seven goals, 12 assists and 39 shots on target. The worry was the amount of overall touches, where in comparison full-backs Camara and Brovsky had almost twice as many touches in possession last season then Mapp and Felipe did. This meant the Impact offense was static and very one demonical at times, which was noticeable in the fact that despite having very good ball possession numbers, Montreal also attempted a very high amount of long balls as they were not able to convert possession into fluid offensive opportunities. This was even more noticeable when you look at Felipe’s influence on the pitch in 2013 compared to 2012. Other options are limited with both Sanna Nyassi and Blake Smith providing speed on the wing but are not complete enough players to make an influence and are better options off the bench. Collen Warner and Callum Mallace are players who can fill minutes when asked, but are not going to add anything other than a willingness to work hard. 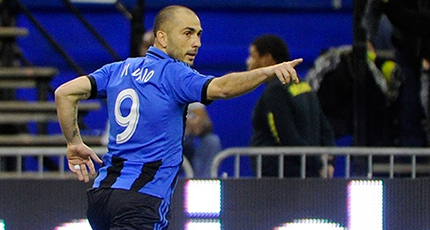 Last year I predicted the success of Marco Di Vaio having him as my number one sleeper fantasy pick and the player who I thought would lead the MLS in goals last season. Di Vaio finished with 20 goals, 118 shots, 53 on target, although he was also called offside 78 times, 36 more times more than any other player in the league. Di Vaio is also 37 years old and towards the end of the season he only scored two goals in final eight games so I don’t expect him to have the same success this season as he did last year. 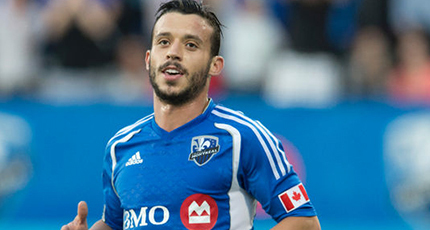 There is also belief that Montreal might play two up front this season with the addition of new special discovery player Santiago Gonzalez. I do have my concerns regarding Gonzalez, as I mentioned in my new players in MLS article, especially for being touted as a player who can hold up the ball when he’s only 5’8 and 160 pounds. I assume Gonzalez does have a scoring touch, which should see him as a better option than the alternative forward, Andrew Wenger, although like Felipe it’s the effectiveness of these alternative options that will influence Montreal’s potential of being a playoff team this season. In my statistical projections based on expected player performances I have Montreal scoring 44 goals and allowing 46 for a goal differential of -2 and missing the playoffs finishing 8th in the Eastern Conference. However, I do see the playoff race in the East being very competitive and like last season Montreal could slip in if things don’t go right for them. Montreal does have a number of quality players so it’s ridiculous, especially on the league’s own website, to have the Impact as the worst team in MLS. That being said, the Impact management/ownership is beginning to realize how difficult it is to create a successful club in MLS and going in a more traditional development direction is smart. However, based on decisions such as a couple of draft picks the Impact made in the 2014 draft, I think there is still a rather large learning curve to becoming a consistent winner in this league.